Media captionA doctor on why Peppa Pig is giving patients unrealistic expectations about their GP. Peppa Pig has been named as public enemy number one in the fight to reduce unnecessary GP visits, by a doctor. Dr Catherine Bell, a GP who regularly watches the cuddly character's TV exploits with her toddler, believes the Pig family's inappropriate use of the doctor are copied by their fans. The family's GP in the animation series, Dr Brown Bear, provides the Pigs with unparalleled medical help. Dr Bell says her cartoon equivalent's work fuels unrealistic expectations. "He has big demand from patients but provides them with a really good service," she told the BBC. The usual advice for uncomplicated self-limiting illnesses such as coughs and colds is to stay at home and not see a doctor, while drinking plenty of fluids. But Peppa and family receive home visits from Dr Bear for the slightest of conditions. And if Dr Bell was given the chance to write the script for one episode, contact with Dr Bear would be unlikely to occur. "If the topic was health-related, I would be encouraging self-care for minor illnesses rather than another visit to Dr Bear," said the Sheffield GP. Dr Bell, who has written a BMJ article on the topic, is not the only person to think Peppa's constant trips to the surgery have an impact in real life. She posted the idea on a Facebook group for doctors who are also mothers and lots of people said they could identify with her views. The big question, however, is does Dr Bell think Peppa should be banned from our TV screens? "No, because then I would be in real trouble with my two-year-old," she says. "Peppa does provide a welcome distraction." 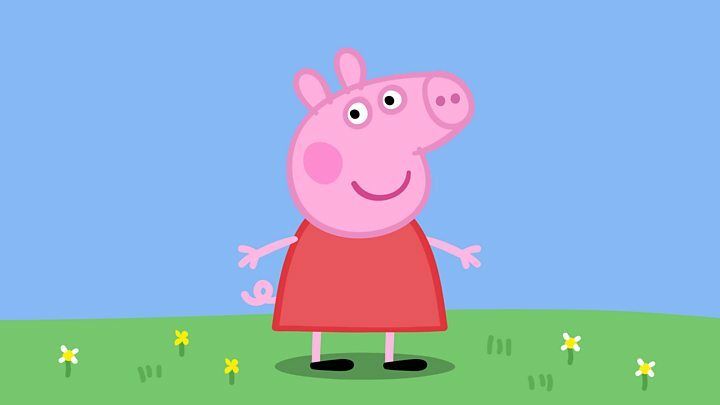 Entertainment One, the media group that owns Peppa Pig, was contacted for comment but did not want to respond.